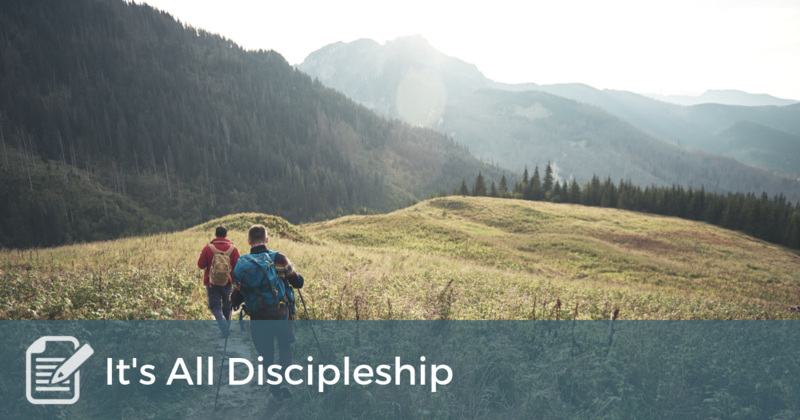 Discipleship is all about helping ourselves and others be more like Jesus. The goal isn’t just to act like Jesus, but to become transformed into a child of God who can inhabit God’s family and actually enjoy it. Most of us are early in the transformation process, with a long way to go. It’s a slow process to grow into Christlikeness. The journey is filled with a million decisions, confessions, delays, distractions, setbacks, celebrations, uncertainties, and moments of mystery. Training tends to be an approach to development that emphasizes content. There’s stuff you need to know, and we will train you to know it. When training is our primary method for discipleship, the results are mediocre at best. Why? Because discipleship is less about what you know, more about how you live, and even more about who you are. I fell in love with coaching once I realized that it provided a more complete (not totally complete) approach to discipleship. In coaching, we help a person assess what they really want, where they really are, and what it will take to close the gap. Closing the gap between how well we follow Jesus now and well we want to follow Jesus is the discipleship journey. Closing the gap involves changing how we live and who we are. When we coach a follower of Jesus, we support them in “moving forward.” What I’ve realized is that moving forward in life is ALWAYS moving toward God. It may not always look like it. After all, plenty of my coaching clients get coached on all sorts of things that seem to have zero to do with their discipleship walk. Topics such as time management, hiring and firing employees, how to expand the business, etc. weren’t part of the Sunday night discipleship training curriculum. Yet these issues are at the heart of being a disciple. Today’s Christians are following Jesus while running a business, leading a team, managing employees, and trying to have a life outside of work. For them, following Jesus is less about walking the dusty roads of Nazareth and more about living out their faith in their immediate context. The power of coaching is that it creates a real intentionality for those who are being coached and it’s this intentionality that is the secret sauce of discipleship. Rather than operating on auto-pilot, coaching clients are seeking to create new awareness that will help them take appropriate actions that will move them toward a new reality. I was so compelled by the power of coaching for making disciples that I helped co-author a book on the topic (Faith Coaching: A Conversational Approach to Helping Others Move Forward in Faith). CAM also has a course related to this topic, which is being taught online starting in May 2019. But even more than writing a book or creating a class, the power of coaching for making disciples compels me to coach. When I coach, I engage in discipleship. This is the biggest reason I stepped down from my faculty position at Western Seminary to help start a coaching practice in my hometown. Walking with clients through the muck and mire of life’s journey doesn’t just provide discipleship opportunities, it is discipleship. My desire for any coach reading this blog post is that you will coach. Why? Because the coaching you do is really discipleship. Thanks, Chad, for a great reminder of what matters! What a great and encouraging read about how coaching can be a powerful tool for effective “discipleship.” In life, we are all moving towards something, but being intentional about it all also makes a huge difference. This truth reminds me of a quote by Pastor Craig Groeschel, “All people end up somewhere in life, but few end up there on purpose.” This is so true, intentionality as you say it Chad, is the secret sauce to discipleship. How we begin truly sets the tone and the kind of impact we are praying and believing for not only for our lives, but also the lives of those we lead no matter what ministry or business context that may be. I also have your “Faith Coaching” book. It’s such a great read along with helpful insights for us coaches today. I also would recommend Jane Crewell’s book “Christ-Centered Coaching”, also a wonderful read about using coaching to help ourselves and others become more like Jesus. I hope and pray your new coaching practice there in your home town is going well Chad. Wish it all the very best. Thank you again for sharing your coaching expertise and your heart for ministry with us at CAM. Such a blessing bro!